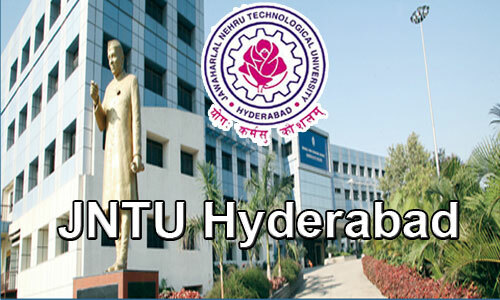 JNTU Hyderabad: JNTUH Updates, JNTUH Results, JNTUH Notifications, JNTUH Time Tables, JNTUH Syllabus Books, JNTUH Previous Question papers, JNTUH Acadamic Calendars, JNTUH Acadamic Regulations. Welcome To JNTU Hyderabad Page – Here You can Get All Latest Notifications, Results, Time tables, Question papers, Online Bits, Spot valuation Details and many more. JNTUH Official website: jntuh.ac.in. JNTUH Notifications 1-1, 1-2, 2-1, 2-2, 3-1, 3-2, 4-1, 4-2: Jawaharlal Nehru Technological University rolls out the notifications stating to the exam dates, application fees, re-schedule of the exam dates, eligibility to apply for the examinations, re-valuation related information, application process information, and other details for its understudies. Regular/Supplementary exam notifications for even semesters (1-2, 2-2, 3-2, 4-2 sem) and odd semesters (1-1, 2-1, 3-1, 4-1) will be rolled out by JNTUH. Also, theory and practical exam related information will be updated for all the semesters and all the specializations. Students can check the JNTUH Notifications for B.Tech, M.Tech, MBA, MCA, and other UG and PG courses. The JNTUH Notifications gives the clear details about the exams, application process, fee payment, important dates, late fee details, and other required information. For the reference of students, here they can download JNTUH Notifications in PDF format. From which, students can go through each and every detail. JNTUH Notifications section especially provides the up to date notifications announced by the university. The day to day updates and alerts will be mentioned in this section. Students can check their eligibility for the semester examinations and proceed with the exams by going through the process mentioned in the notification. Students who have completed the before semesters with good score can proceed with the next semester exams or the students having supplementary subjects can go through the supplementary exams as per the scheduled dates. JNTUH Regular and supplementary exam schedules will be constantly updated in the notifications section. For each academic year, students can check the date sheets, results, revaluation details, and other updates from this page. The JNTUH is accredited by ‘A’ by the National Assessment and Accreditation Council (NAAC). Under JNTUH Many of the Government and Private colleges were working. JNTUH syllabus and examination pattern will be followed by all the associated colleges. It offers a vast number of services in education sector. The Jawaharlal Nehru Technical Education Hyderabad is offering many courses such as Engineering & Technology, Physical and Social Sciences by teaching, research and experimentation or practical training etc. It is focused to develop education in associated regions of Medak, Ranga Reddy, Khammam,Nizamabad, Adilabad, Warangal, Karimnagar, Nalgonda and Mahboobnagar districts of Telangana State. Since from 40 years the JNTUH is offering its restless services in education sector.